Take 2 bowls of Rice flour, add 2-3 cups of water and add a pinch of salt, make a dilute paste out of it. Now heat the flat pan properly and spread oil on it or use a cotton ball for even spreading. Take the batter in a spoon and spread a thin layer of it on the pan, cover it for 2 mins and then open, wait for some time and change the side. 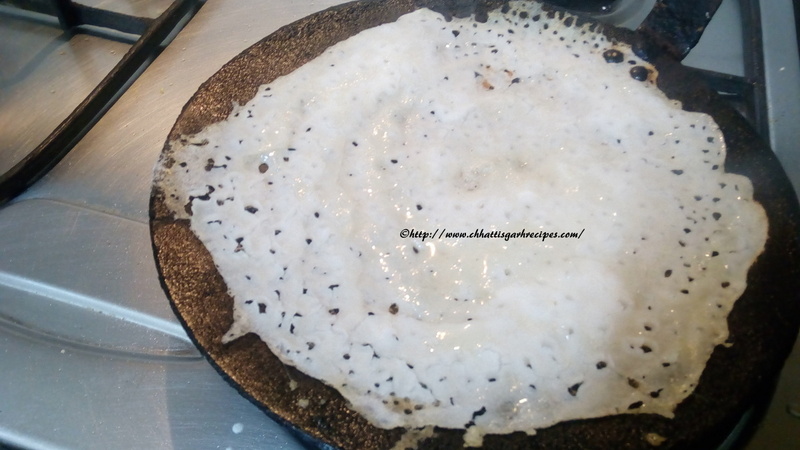 After a mins its ready to serve with green chutney or pickles. Recommendation: Let properly heat the pan ।During the preparation doesn't use a high flame. Note: Rice chila is very common and most liked preparation at every Chhattisgarhiya home.Chila is a form of a traditional ready to cook food. It takes very minimal time to prepare, good in taste and gives energy quickly. In look and taste, Chila is a distant cousin of south Indian preparation Neer Dosa. It can be considered as gluten free instant recipe. 1. Thine paste of rice flour and salt. 2. Spread on a hot pan. 3. Wait for 2 minutes to cook it nicely. 5.Let it get crispy another side too. Paste should not be very thin . Heat the pan on the gas .Pour oil into the pan and let it heat properly. Now make bhajiya out of the mix. Deep fry until it turns brown. Crispy bhajiyas are ready to eat with green chutney . चावल के आटे में बारीक़ कटी प्याज़, बारीक़ कटी हरी मिर्च,बारीक़ कटे धनिया पत्तियां,जीरा पावडर , नमक और २-३ टेबल स्पून दही और थोडा पानी ड़ाल कर मिलाएं.पेस्ट को जयादा पतला न करें .अब गैस पर कड़ाई रखें और तेल गरम करें .जब तेल ठीक तरह से गरम हो जाये तब भजिये बना कर डालें और कुरकुरे होते तक तलें .गर्मागर्म भजिओं को हरी चटनी के साथ मज़े से खाएं. Heat the pan on flame . put 2 table spoon oil in it. Cook chopped bhindi in above tadka for 7-8 mins . put salt as per taste and let bhindi cook for sometime. Take 250 –500 gm curd ,mix water in it and stir till it gets thinner .mix 2-3 tablespoons gram flour (besan) in curd. Now put this curd in cooked bhindi and let it cooked until curd gets 2-3 boils . Switch off the gas and let the kari cold for 10-15 min . Now enjoy this kadhi with steamed rice. कड़ाई में तेल गरम कर लीजिये .गरम तेल में सरसों के दाने ,करी पत्ते , कड़ी लाल मिर्च और कटी प्याज़ डाल कर भून लें .अब कटी हुई भिदियों को कड़ाई में डाले और प्याज़ के साथ भूनने दें .अब इसमें स्वादानुसार नमक , पीसी हल्दी , पिसा धनिया दाल लें और पकने दे. एक कटोरे में २५०-५०० गम दही लें और थोडा पानी दल कर मथ लें और उसमें २-३ छमच बेसन मिलाएं .इस दही को भिन्डी की सब्जी में डालें और उबल आने तक पकने दें.अब गैस को बंद कर दें और कढ़ी को १०-१५ मं तक टंडा होने दें. और मज़े से गरमा गरमा चावल के साथ लुफ्त उठाए. Peelout the outer brown layer once it is cold and cut into rectangular pieces. Dry them on the sun for some time. Once it is dried, take a pan and hit the oil and deep fry those pieces. Take 3-4 tablespoon oil and heat in a different pan. Add mustard seeds, curry leaves, chopped tomato and keep frying until it turns red. Add Salt, turmeric powder & coriander powder and let it cook for some more time in the slow flame. Now add fried pieces of Zimikand in the cooked mixture and cook for some more time. Take 500 gm curd and mix 1-2 tablespoon gram flour and mix some water to make this curd little thinner. 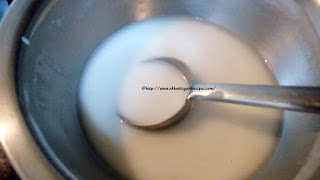 Add the curd in cooked Zimikand and let the whole mix cook some more time until curd gets a boil. After 5-7 min turns off the gas and lets Zimikand kadi get cold. 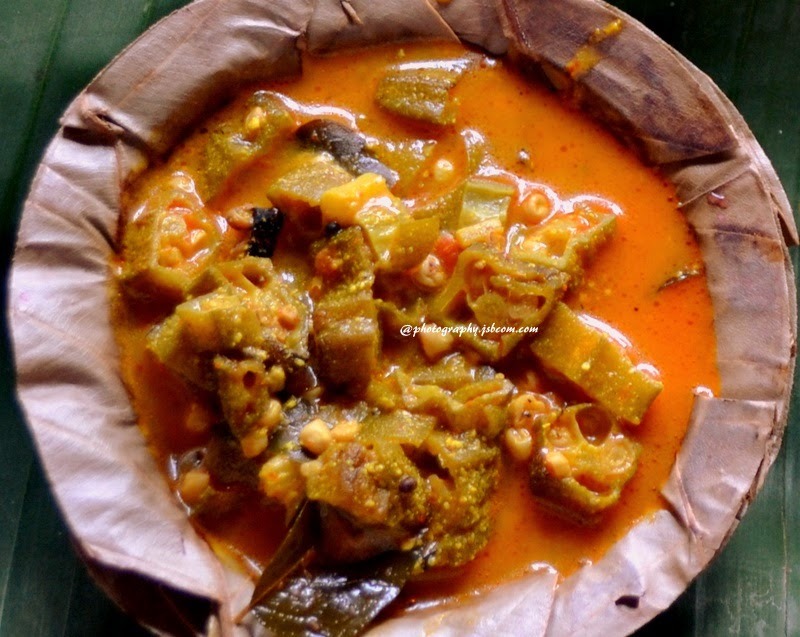 Enjoy this kadi with steamed rice. अबे एक बर्तन में ५०० ग्राम दही लेकर उसमें १-२ चम्मच बेसन मिला ले और पानी मिलकर थोडा पतला कर लें और पकते हुए मसाला और जिमीकंद में ढाल दें.पुरे मिश्रण को १० मं तक पकने दें और दही पकने के बाद गैस बंद कर दें. ठंडा होने के बाद जिमीकंद कढ़ी को गरमा गरम चावल के साथ मज़े से खावें. Fine grind the overnight soaked lentils. Fine chopped the Arabi/kochai/colacasia leafs and mix with grinded lentils with salt. Put this paste in a plate and cook on the vapor.After 10 min once mixture is cooked on vapor let it cool for sometime and cut into rectangular pieces. Take oil in the pan and heat it.Once oil is properly heated fry those rectangular pieces until it turn red. In hot oil put some mustard seeds with full red chilies put 1 chopped tomato add salt,turmeric powder ,coriander powder. 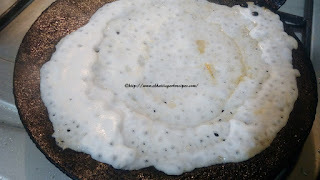 Take 500 gm curd add some water and 2-3 table spoon gram flour and prepare a thin solution.Add this curd solution with prepared tadka in the pan.Let it boil for some time. Once curd start boiling add arbi leafs picese (pakore) and boil again for some more time. Once its cooked switch off the gas and let the kadi get cold for sometime. Idhar is ready. You can serve this Idhar with hot rice. भाप में पकाकर इनको चौकोर टुकड़ों में काट ले.अब कड़ाई में तेल गरम करें और इन टुकड़ों को लाल होते तक तल लेवें.गरम तेल में सरसों ,कड़ी मिर्च,और एक कटा टमाटर मिलाकर कर भुने और इसमें नमक,हल्दी पावडर और थोडा धनिया पावडर डालें.एक अलग बर्तन में ५०० ग्राम दही लें और पानी मिला कर मठ लें इसमें २-३ स्पून बेसन घोल लें और इस दही को कड़ाई में तडके के साथ मिला कर उबलने देवें .जब उबाल आना शुरू हो जाये तब अरबी के पकोड़ों को इसमें ढाल दें और कुछ देर पकने दें.गैस बंद करने के बाद तैयार कड़ी को ठंडा होने देवें. और बाद में गरमा गरम चावल के साथ परोसे. 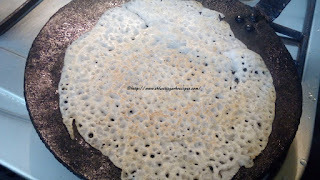 Mix Wheat flour with water,jaggery and 2-3 big spoons of ghee (as moyan), white sesame seeds and prepare a tight dough. Make thick discs from the dough. 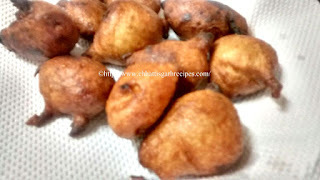 Heat Ghee or oil in a pan and deep fry Khurmi until it turns brown. 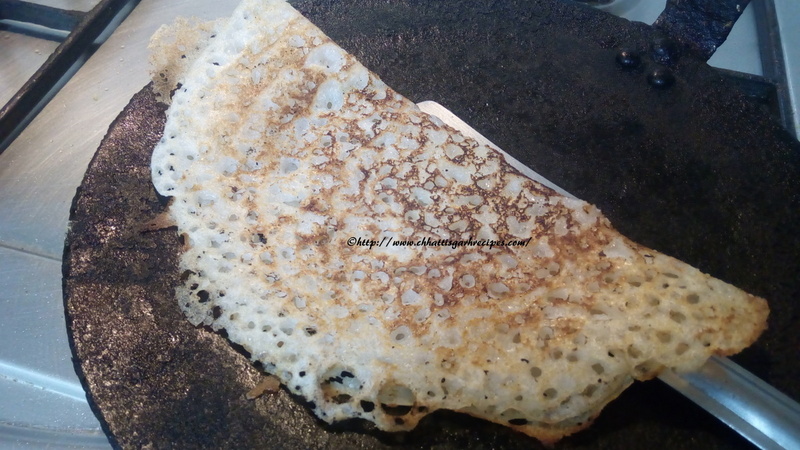 Make sure Khurmi should be fried in a low flame very gently, so thick piece of wheat can be cooked nicely. Khurmi lasts for many days and good for health also. पहले गेहूं के आटे में मोयन के लिए डालडा डालें फिर पानी और सफ़ेद तिल , गुड के साथ अच्छी तरह से कड़ा गूँथ लें. अब आटे की लोइयां बनाकर चपटा करते जाएँ और खुर्मी बनाये. बनी हुई खुर्मियों को गरम तेल में अच्छी तरह से लाल होते तक तल ले. खुर्मी कई दिनों तक ख़राब नहीं होती और आटे से बनी होने के कारन सुपाच्य भी होती है. Method: Take 2-3 bowl og wheat flour। Mix with water, sugar and a cup of milk , pinch of baking soda and prepare a colloidal paste (not so thin) Heat the oil in a pan and start deep frying to small balls of the paste till it turns dark brown . Enjoy hot Gulgula’s anytime with family members or unexpected guest. सबसे पहले २-३ कटोरी गेहूं का आटा लें और पानी , दूध,सुगर या गुड और चुटकी भर बेकिंग सोडा के साथ मिलकर घोल तैयार कर लें .अब कड़ाई में तेल गरम करें और घोल से छोटे छोटे बाल तेल में तल लें और लाल होते तक सेक लें . कभी भी फटाफट सेक कर गुलगुलों का मज़ा ले. Take a bowl of Red lentil and soaked it an hour before the preparations Now put soaked lentils in the pressure cooker ,add salt as per taste give 5-6 vistles. Once boiled Lentil is cold , heat the cooking oil in the pan . Add mustard seeds, curry leaves,2-3 whole red chills, chopped onion. Add turmeric and coriander powder and mix boiled red lentil . 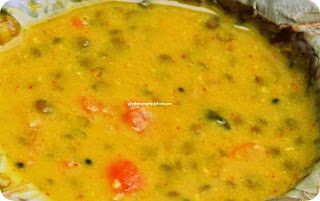 Once lentils are well cooked with tadka add 250 gm curd (thinner and 2 ts gram flour added) Cook whole mixture for 5-7 mins . You can serve the red lentil kadi with hot rice. के बाद हल्दी और धनिया का पावडर मिला दें . तडके में कुकर में पकी हुई दाल मिलकर पकने दें २-३ मं बाद एक बर्तन में २५० ग्राम दही लेकर पानी मिलकर थोडा पतला करें और १ चमच बेसन मिला कर अच्छे से घोल लें और इस दही को पकती हुई दाल में मिला दें और ५-७ मं तक ठीक से पकने दे. मसूर की कड़ी का मज़ा गरमा गरम चावल के साथ लें.